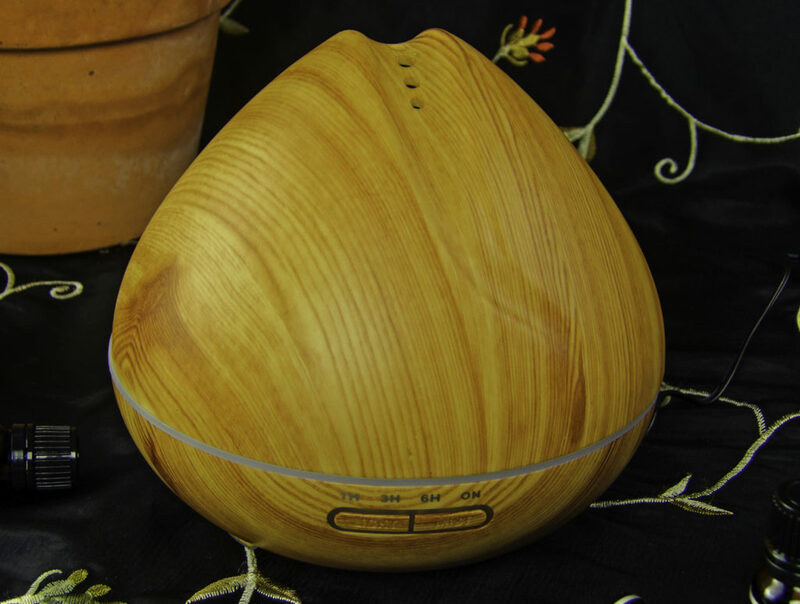 An essential oil diffuser is a wonderful way to enjoy aromatherapy in an office, spa, yoga studio or home. 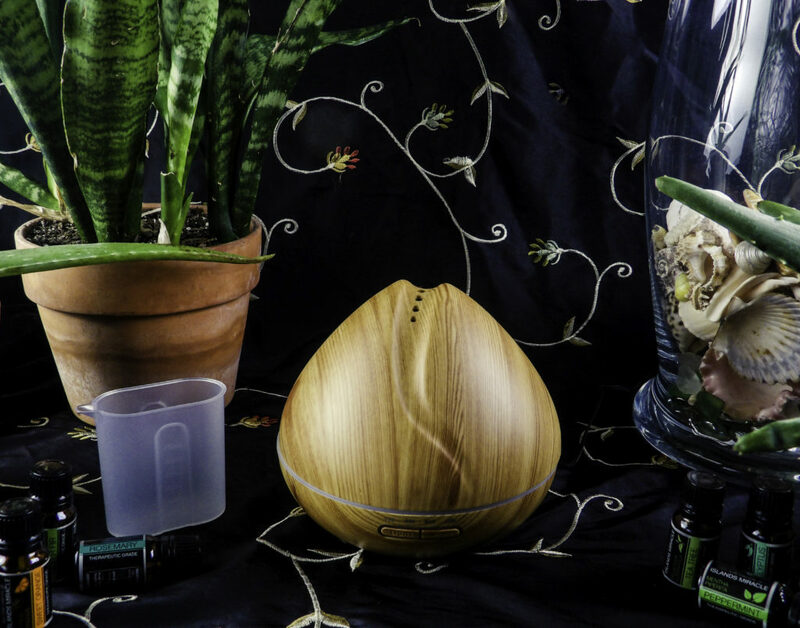 Diffusers can disperse invigorating essential oil scents to uplift a mood or energize you during a workout, they can provide calming aromas for sleep, or scents to improve mental clarity while working in a stale, dry office environment with forced air. Most diffusers are not very attractive or have a capacity large enough to use overnight, which is why we love the MagiForet Wood Grain Aromatherapy Essential Oil Diffuser: it holds a whopping 400ml of water for 14 hours of continuous use, it has a unique 7 outlet misting mechanism and it’s an attractive piece that doesn’t have to be hidden away. 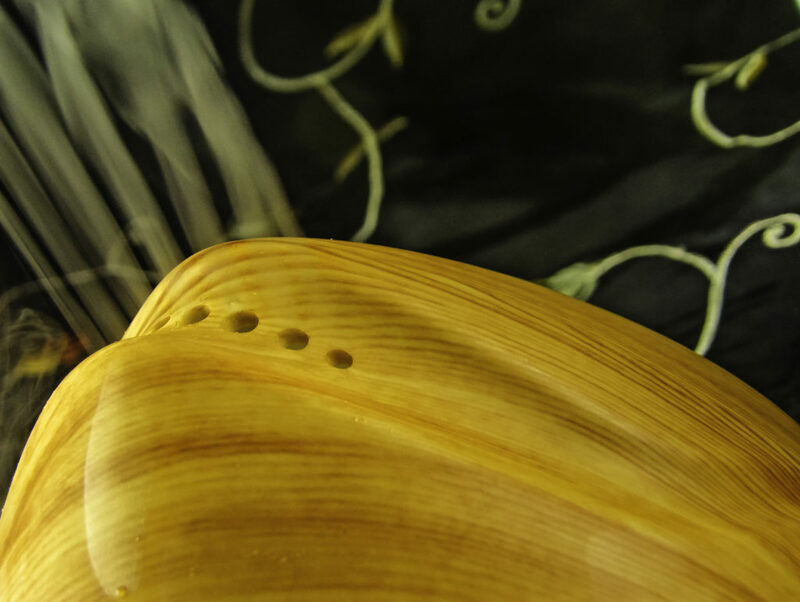 Aromatherapy has long been known to enhance many activities including better sleep, improving mental clarity, easing anxiety, and it can lift a mood to increase energy levels and productivity. 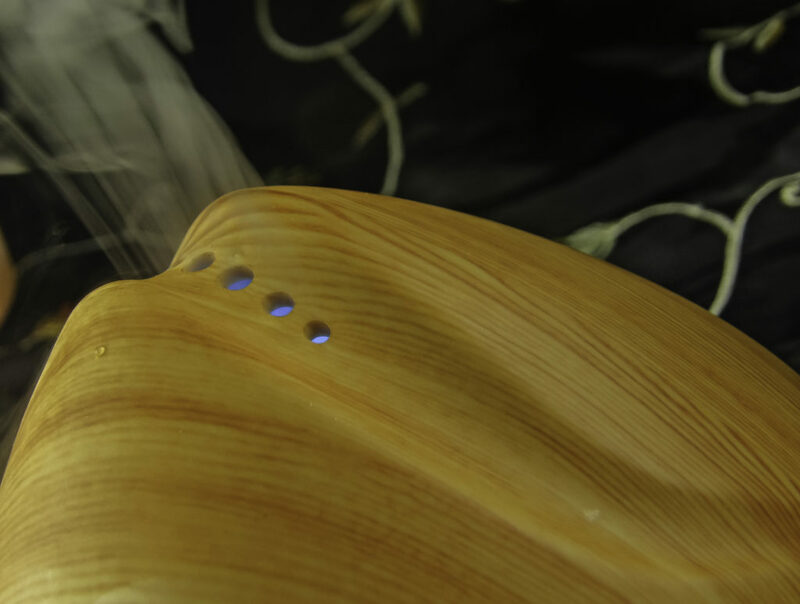 When combined with the ultrasonic cool mist humidifier feature of the MagiForet diffuser, it adds moisture to the air making it easier to breathe in an overly-dry bedroom for better sleep or even regulate the air in your cubicle or office at work. Do you have an afternoon energy slump at the office? Mid-afternoon I feel so tired that I need yet another cup of coffee when I’ve already had too much coffee already that day. 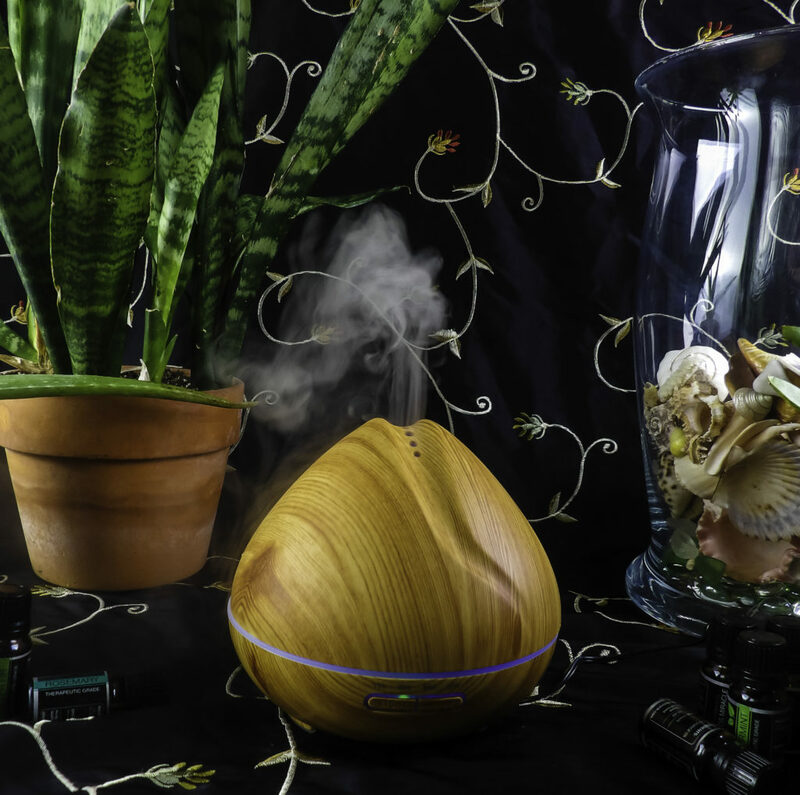 Diffusing an energizing essential oil discretely in my office space both adds some moisture to the forced-air dry office environment and can diffuse an energizing essential oil such as peppermint, lemon or Rosemary. I diffuse Peppermint for energy, lemon to lift a mood, and Rosemary to improve concentration and mental clarity while working on a project. The same holds true for a yoga workout or even to motivate myself to do pilates, or use my treadmill or stationary bike at home: if I find myself lacking the energy or desire to workout, I try diffusing an essential oil that can energize me such as Peppermint or Eucalyptus. WHAT MAKES FOR A QUALITY DIFFUSER? There are many diffusers on the market, how do you find a good one? I like one that has a large capacity so it doesn’t need constant refills, I prefer the cool mist is distributed evenly without dribbling water onto the surface underneath it, I like it to have an auto-shut off feature so I can use it overnight without worrying about risk if it runs out of the water. I like one with an even steam output, a nice long cord, and preferably, that it’s attractive enough to just leave out as part of my decor. All of this criterion is met in the MagiForet Diffuser. 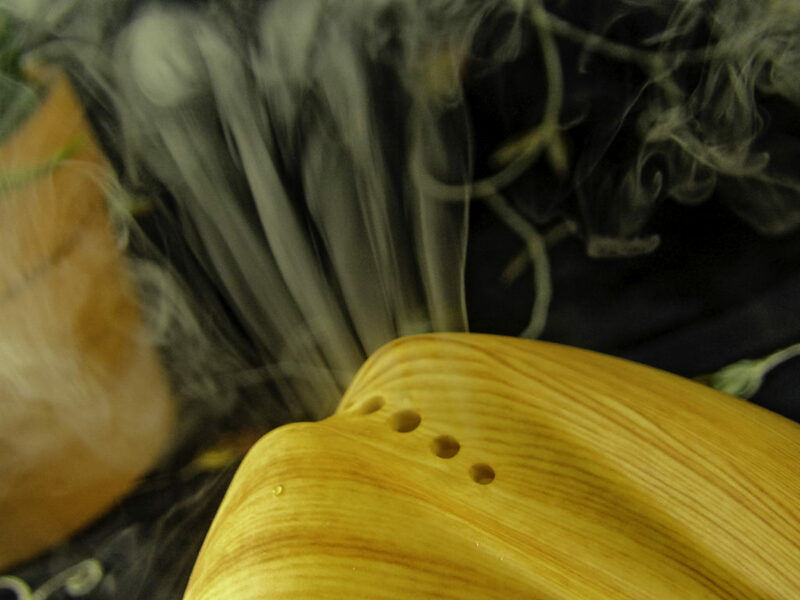 I like the design of multiple mist outlet holes across the top of the diffuser with seven strong streams of mist to disperse across a larger area at once. It can cover a room up to 270-375 square feet (25-35 square meters), far superior to most diffusers, even ones larger in size. The mist evaporates into the air, improving the air quality in overly dry rooms, but the mist is a steady light mist, so that nearby objects to not become soaked with water, as can happen with some humidifiers. Large 400ML capacity (over 13 1/2 ounces) suitable for home, yoga studios, spas, and offices. This is enough to last overnight and then some. 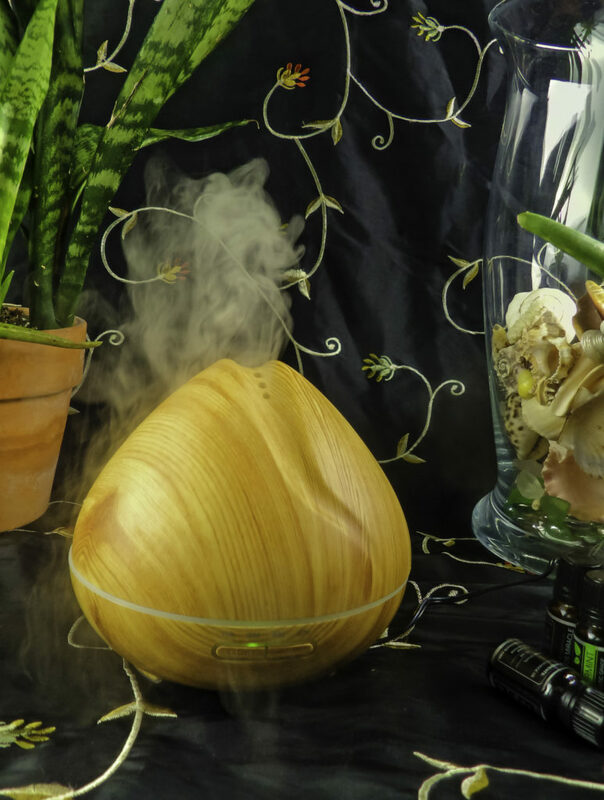 When you are sick and congested and want to use this to diffuse moisture and congestion-clearing Eucalyptus into the air, this diffuser gives plenty of hours of use off of one fill. Despite the large size capacity, it doesn’t have a huge footprint on a nightstand or desk. The basin holds over 13 ounces of water to the fill line. Note the easy to read timer options of one, three, six or continuous on options. The Auto-shut off feature is an important feature because if it runs out of water, it won’t stay on, so there is no risk of it overheating. making it safe to use the diffuser overnight or leaving it in a child’s room. The Ultrasonic Cool Mist Humidifier feature provides a consistent, even, drip-free steady and strong flow of cooling mist into the air. There are four different timer settings for different purposes including for use during a workout session, to dissipate cooking odors for a few hours after dinner, for a soothing at home spa-night, or even for use overnight. They are one hour, three hours, six hours and continuous on mode. There are seven LED soft light colors that display in a horizontal band, under the display buttons, and can be seen on aerial view through the steam outlets. 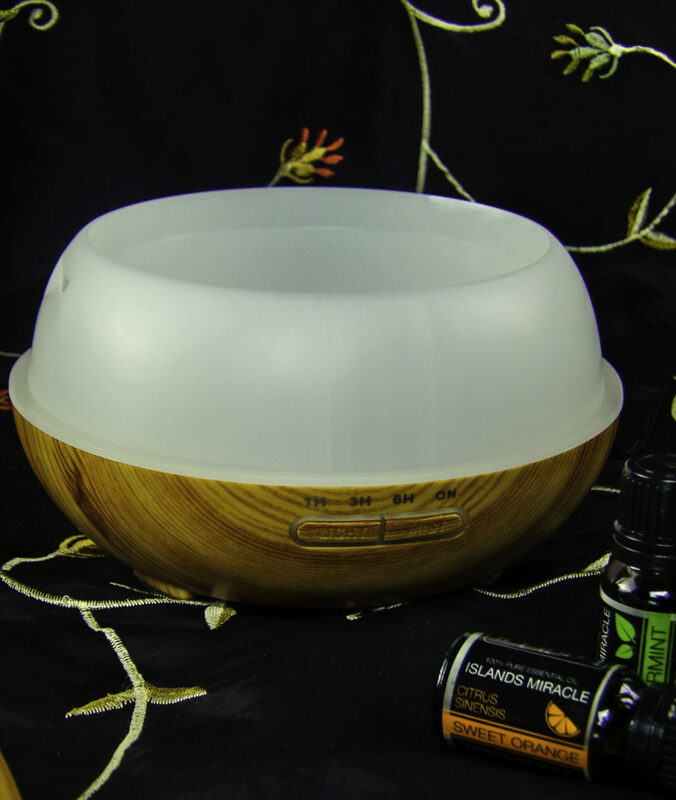 This diffuser is silent, so it does not disrupt sleep, and it is suitable for an office or a spa or massage therapy office. The wood grain on this is quite nice, it does NOT look like a thin veneer of wood over plastic, it’s a sturdy piece with a beautiful grain that fits the decor of a natural looking space such as a spa or yoga studio, it would look lovely in a kitchen to diffuse an essential oil to dissipate cooking odors, it fits in with a traditional or bedroom decor and it would look good in an office as it has an expensive look and feel to it. It comes boxed and is suitable for gift giving. It is sturdy construction with padded rubber feet on the base to protect both the diffuser and the surfaces it rests upon, so you can be assured the gift recipient will get years of use from this thoughtful gift. It is easy to figure out how to plug it in and add water to the fill line. Add a few drops of the essential oil of your choice, put the top back on, and select the timer setting of your choice. The easy to read buttons are back lit by the LED colored light. The LED color display is attractive and soothing, it adds a soft glow to the room that is relaxing when used at night, providing a bit of light to a dark room without being disruptive to sleep. It is a thin band of a gradient of color as it changes from shade to shade as a soft glow. It is not bright enough to be a true night light, but enough light to orient you in a dark room if you awake during the night. I really like the design of how it disperses the cool mist through multiple outlets, not only is it functional in that it distributes steam into the air more evenly and quickly, it’s pretty to watch the swirling tendrils of steam dissipate into the air! There is absolutely no water spurting out or wet spots when using this diffuser. 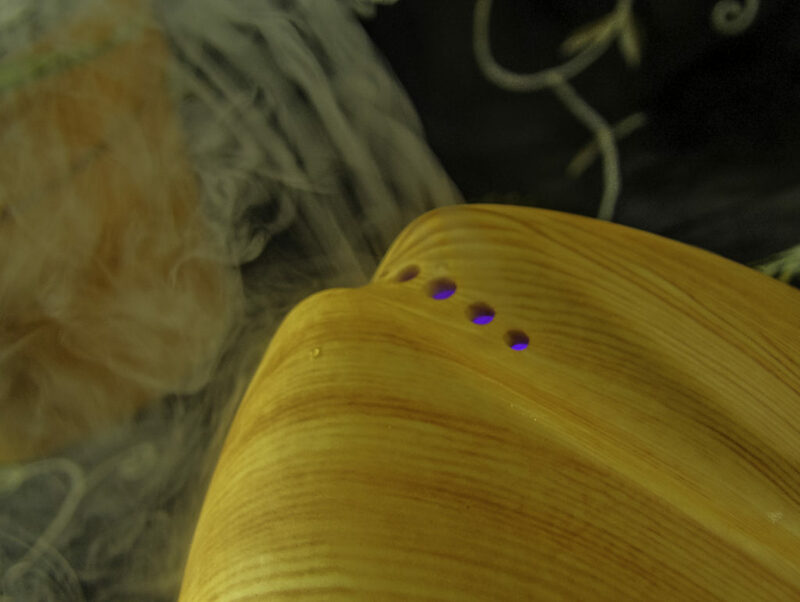 The essential oil aroma dispersion is even, and it is not overly strong or pungent yet the scent can still be detected. 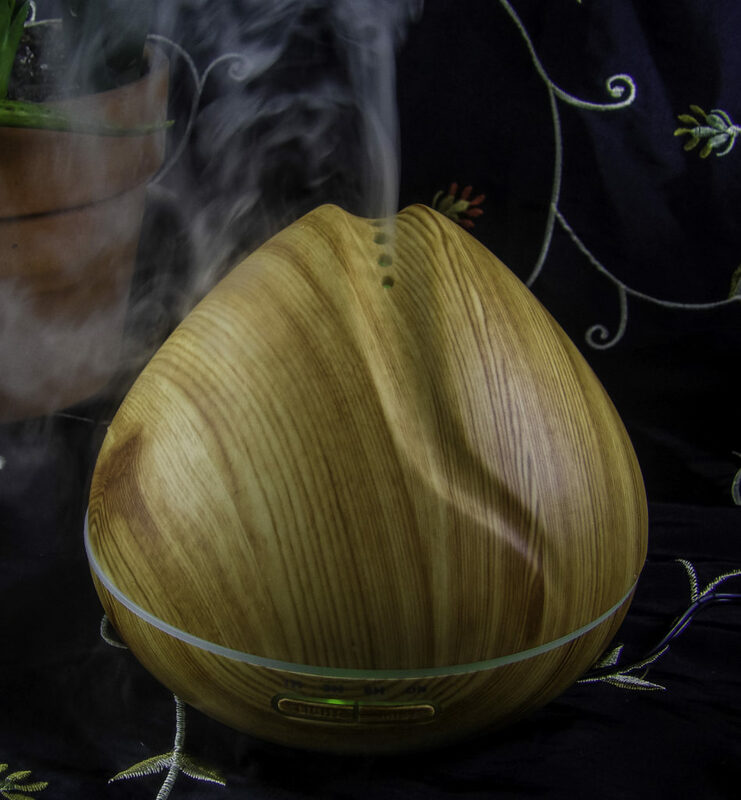 Sturdy, attractive, and functional, the MagiForet 400ML Wood Grain Aromatherapy Essential Oil Diffuser provides an even, steady stream of cool mist to add moisture to an overly dry room or office with the option of LED soft colored light to add a soothing glow to the ambiance. I find this ideal for using in a bedroom, or to diffuse lemon oil in a kitchen after cooking or just to freshen the house if the home smells stale. 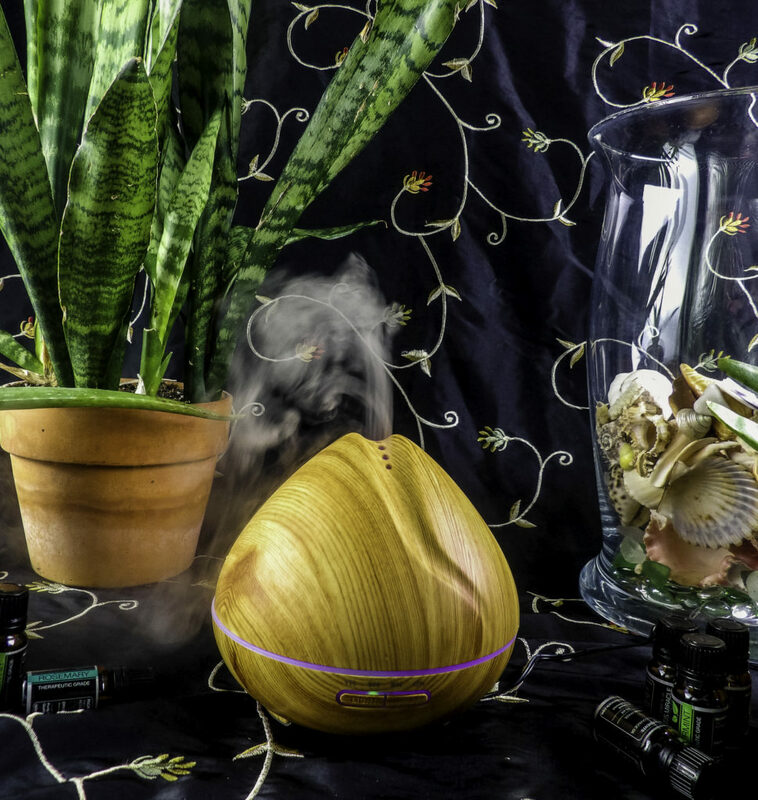 If you are going to give a diffuser as a gift to an essential oil loving friend, this makes for a great one because it is so attractive, sturdy and versatile. 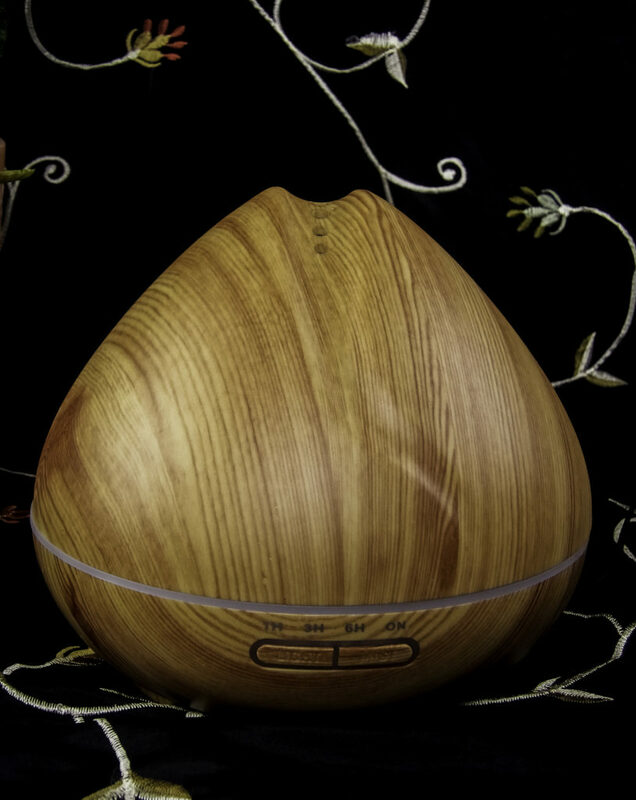 Style Chicks received the MagiForet 400ML Wood Grain Aromatherapy Essential Oil Diffuser in exchange for our unbiased review and received compensation for our time and effort. However, our experience with the product and the opinions expressed in this review are 100% ours.